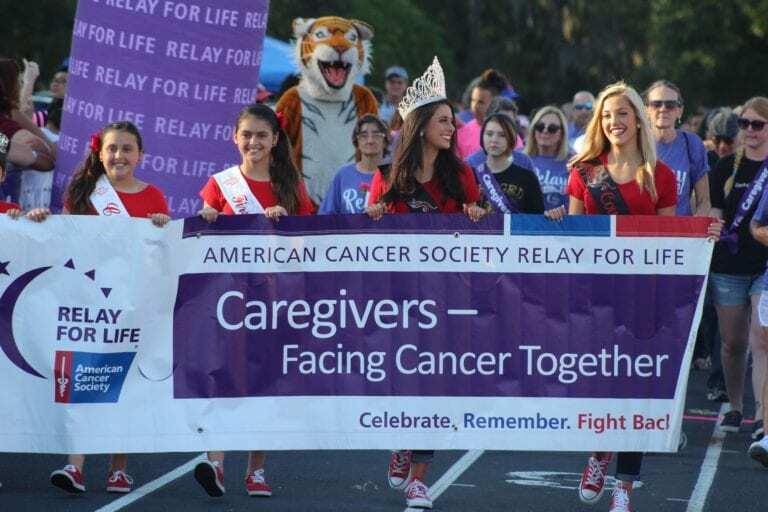 The 2019 Relay For Life in Plant City kicks off tomorrow evening at Plant City High School. It may be coming a full month early, but the Plant City Relay For Life is more elaborate than ever. For the past 21 years the organization has rallied members of the community to its cause and showed thousands of survivors they are loved and supported by their town. Plant City High School has long been the home for the event and this year the group had to shuffle a bit to ensure they could stay with its beloved host. Though the organizers had to throw in extra hours to compensate for hosting it in March rather than in April, Gibson said they are well on track to having a successful and impactful year. There are currently 50 teams registered, 95 survivors participating and 670 attendees signed up to walk for the event. Last year the organization raised more than $197,000, exceeding their expectations. Due to a shorter time period to campaign the group is setting the 2019 fundraising goal at $190,000 and Gibson is confident they’ll be able to reach their pinnacle and give back that much to Relay. In 1985, when colorectal surgeon Dr. Gordy Klatt decided to create Relay For Life to help spread awareness of the disease and raise money for his local cancer charity, the community laced up their tennis shoes and hit a track in Tacoma, Washington. For 24 hours straight they walked. Cancer doesn’t take a break, so neither would they. They showed their dedication to their local community and successfully raised $27,000. Since then, Relay has become one of the largest fundraising events for cancer in the entire world. There are 19 members currently on the local Relay For Life team and Gibson said they spend the entire year organizing and planning the following year’s event. Participants and teams hit the ground running around August and in the spring the track at PCHS is filled with supporters. This year Gibson said they heavily focused on community outreach when deciding how to promote the 2019 event. Each year at 6 p.m. on Friday evening, the event kicks off with an opening ceremony followed by the survivor and caregiver lap, which is a lap around the track to celebrate and remember those who have been affected by cancer. Gibson said the reason the organization gathers each year is because it wants that lap to be filled to capacity with survivors, to ensure that more and more people are able to come out victorious from the disease. The survivors are then treated to a free dinner around 6:30 p.m. and at 9 p.m. the stadium falls silent for the luminaria ceremony. The lights are turned off and bags surrounding the track are lit as they take a moment to remember those no longer with us. A slideshow of pictures of those who died from the disease plays to remind people why they are there and to offer a moment of solace for their loved ones. Then the real feat begins. While many slowly slip away throughout the evening a dedicated group of attendees man the track all night long. There are countless fun activities and team contests throughout the evening to keep spirits high and come 6 a.m. the next morning the event winds to a close with a special ceremony. This year Gibson said two new teams are having unique events like an obstacle course and a dodgeball cage to rev up the action on the field. With their new promoting techniques came a new wave of volunteers and Gibson said it’s refreshing to see how the event continues to evolve and reach new members in the city. The organizers dig in deep to find new and interesting things to “pull out of a bag” throughout the night and they rely on feedback from participants on what could change or be added. It’s an energizing event for a great cause, Gibson said. She hopes everyone in town takes a moment to attend, even if they aren’t able to stay all evening.